NOW AVAILABLE! The only songwriting book your students will ever need… and will always love! 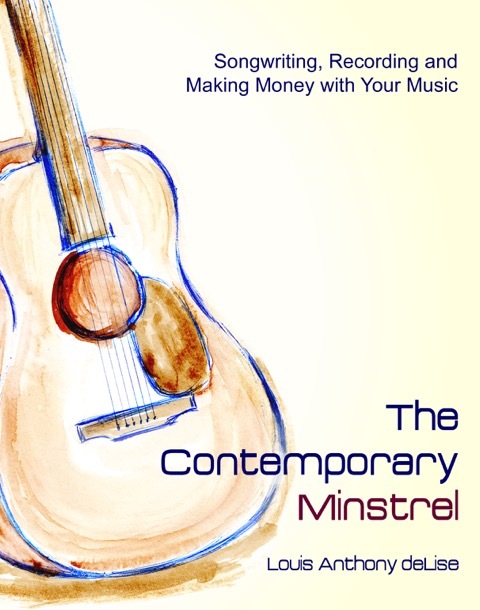 The Contemporary Minstrel is a thoughtfully written and thorough textbook on the art, craft and business of songwriting by composer, arranger and producer, Louis Anthony deLise. Beginners and more advanced writers alike will find this the book to own. It will help you polish your skills, refine your craft and build a successful career in today’s digital music business. It is worth its weight in gold records! As a member of the famed studio group, MFSB and being part and parcel to some of the greatest music of all time, I can truly relate to Lou’s book, The Contemporary Minstrel, as it thoroughly explains everything one needs to know about the ins and outs of the craft of songwriting and the art of arranging contemporary music. Both beginners as well as seasoned professionals will be able to enjoy the book as I have. Louis deLise’s The Contemporary Minstrel is an inspired look into the very DNA of songwriting. The history of songwriters is about constant change in the music and lyrics they write. Great songwriters have known the past is a guide to the future. This book is full of ideas that analyze the past, the present and the future of the art. I recommend it highly.-Joe Renzetti, Academy Award® winning film composer and hit record arranger. Also included are: Eight tables, Eighty-four musical and business examples, in two hundred twenty-six pages with assignments.